SELF-HELP in LifeRing means that the key to recovery is the individual’s own motivation and effort. LifeRing is a place where individuals build their own Personal Recovery Plans. LifeRing does not prescribe any particular “steps” other than abstinence. 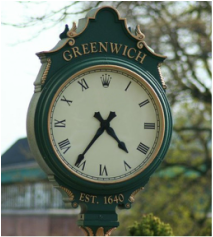 LifeRing Greenwich is a local LifeRing chapter based in Greenwich, Connecticut. We primarily serve the communities of Fairfield County, Connecticut, and Westchester County, New York. We also serve inpatient and outpatient clients of the Addiction Recovery Center (ARC) at Greenwich Hospital, where we hold our meetings. Our meetings are open to anyone who wishes to get clean and sober and stay that way. We hope you’ll join us. LifeRing Greenwich meets in the Cafeteria Conference room on the ground floor of Greenwich Hospital at 5 Perryridge Road, Greenwich, CT.
July 12, 2016: You can find the the summer issue of the national LifeRing newsletter here. Apr 30, 2016: An interesting take on a PSA made for We Save Lives a highway safety nonprofit led by Candace Lightner, the founder of Mothers Against Drunk Driving (MADD). Read more here: Man in the Mirror Sends Shocking Anti-Drunken-Driving Message. Mar 26, 2016: Check out the upcoming conference in NYC “Recovery • Meditation • The Brain” which addresses the impact of meditation on overcoming stress, improving health, and managing the effects of addiction. The conference will be held at the Paley Center for Media on April 29 and includes lunch followed by presentations from an array of experts in the field. Special guest Russell Brand. Sponsored by the David Lynch Foundation. Mar 23, 2016: In Ithaca NY, another approach to dealing with heroin addiction: a supervised injection facility. While generating controversy in the town, it has seen some success in Europe. From the NY Times, read "Ithaca’s Anti-Heroin Plan: Open a Site to Shoot Heroin.”. Mar 17, 2016: Here is an article that is a follow up to the CDC article yesterday that looks at the prescribing of opioids from a doctor’s perspective: “His Patients in Pain, a Doctor Must Limit Their Use of Opioids”. Mar 16, 2016: In recognition of the health crisis and its connection with the liberal prescription of opioids in the medical community, the Centers for Disease Control and Prevention has issued new prescription guidelines. See this report in the New York Times: “C.D.C. Painkiller Guidelines Aim to Reduce Addiction Risk”. Mar 6, 2016: With heroin cheap and widely available on city streets throughout the country, users are making their buys and shooting up as soon as they can, often in public places. Police officers are routinely finding drug users — unconscious or dead — in cars, in the bathrooms of fast-food restaurants, on mass transit and in parks, hospitals and libraries. The New York Times investigates: Heroin Epidemic Increasingly Seeps Into Public View. Mar 2, 2016: Think Darien doesn't have a heroin problem? Think again. From the Darien Times: Heroin: One Darien story. Feb 27, 2016: Greenwich is teaming up with Liberation Programs to determine just how much heroin addiction is a Greenwich problem. For more information, go to: Greenwich to launch new study of local heroin addiction..
Feb 23, 2016: The New York Times investigates rehabs and the application of the latest addiction recovery techniques: For Mark Willenbring, Substance Abuse Treatment Begins With Research. Feb 23, 2016: 9 p.m. on PBS. “Frontline” investigates the country’s heroin epidemic as it follows four addicts in Seattle, parses the government’s drug policy and explores what happens when heroin use is treated as a public health crisis rather than a crime. : CHASING HEROIN..
Feb 22, 2016: Al Jazeera America reports on heroin addiction in Darien. For more information, go to: Suburban Drug Epidemic: Darein CT..
Feb 21, 2016: Declining a drink in social situations should really be simple, but more often than not it becomes a topic for “further conversation.” Take a look at this article by The Fix: 11 Things Sober People Want Normal Drinkers To Know. FEB 8, 2016: Registration opens today for the Multiple Pathways of Recovery Conference, which will be held May 2-4, 2016 at the Mystic Marriot Hotel & Spa in Groton, CT. Sponsored by the Connecticut Community for Addiction Recovery (CCAR), the conference brings together recovering leaders from many different pathways, and organizations and providers of recovery services to share and educate one another about the ways people live in recovery. This is the first gathering of its kind to bring this knowledge, practice and experience into one place for three days. For more details, go to conference registration..
FEB 5, 2016: What causes addiction? Easy, right? Drugs cause addiction. But maybe it is not that simple. Watch Everything We Think We Know About Addiction Is Wrong, a video adapted from Johann Hari's New York Times best-selling book 'Chasing The Scream: The First and Last Days of the War on Drugs.' For additional insight into Hari’s thoughts on the causes of addiction, watch a video of his TedTalk presentation from June 2015: Everything You Think You Know About Addiction is Wrong. DEC 9, 2015: Buzzfeed launched its own Mental Health Week this week, during which they will be publishing more than 100 posts across five languages, as well as 30 videos with invaluable mental health content. A good starting point is a great post with suggestions for coping when you’re down. Go to 15 Easy Things You Can Do That Will Help When You Feel Like Sh*t..
DEC 7, 2015: Different Roads to Recovery. LifeRing is one of five organizations often cited as the largest national groups that provide an alternative approach to the 12 steps, according to the Substance Abuse and Mental Health Services Administration. The others are SMART Recovery, SOS (Secular Organizations for Sobriety/Save Our Selves), Women for Sobriety, and Moderation Management. There are several important differences that may make alternative groups attractive to people in recovery who do not want to use a 12-step approach. For further information, go to an article in the latest issue of Social Work Today called Alternatives to 12-Step Addiction Recovery..
DEC 4, 2015: LifeRing has started a new email group, the LifeRing Book Club, which you are invited to join. It's a place for members to review books they've read, suggest titles, and generally talk about books and reading. Reading plays a key role in the personal recovery plans of many LifeRingers, and this group seeks to recognize that. To join, send a request to the LifeRing Book Club..
NOV 23, 2015: Thanksgiving Survival Guide. Thanksgiving is two days away. Holidays can be difficult for sober people, or people struggling to get or stay sober. Now is a good time to prepare. You can not only survive Thanksgiving, you can enjoy it. You can find some tips for the holiday season at Crying Out Now. SEP 30, 2015: Writers In Treatment is proud to present the 4th Annual REEL Recovery Film Festival New York City Edition 2015. This multi-day event from October 16-22 is a celebration of film, the arts, writing and creativity. Slated for screening is an eclectic lineup of contemporary and classic films, documentaries and shorts from American and international, first-time filmmakers and industry veterans who make honest films about addiction, alcoholism, behavioral disorders, treatment and recovery.. For more information, go to Reel Recovery New York. SEP 28, 2015: On October 4 in Washington, DC more than 600 organizations from around the world will gather for UNITE To Face Addiction in a show of solidarity and collective force. Together we can help the 22 million Americans with addiction, stand up for the 23 million more in recovery, and urgently act to save the 350 lives lost each day. The free event will feature live musical performances from Joe Walsh, Steven Tyler, Sheryl Crow, The Fray, Jason Isbell, Aloe Blacc, John Rzeznik and more! For more information, go to UNITE To Face Addiction. SEP 26, 2015: LifeRing is now partnering on a study called the Peer Alternatives to Addiction (PAL) Study, which is funded by the National Institutes of Health and will launch on Oct 1. This is a critical study that will provide empirical information on the effectiveness of LifeRing and other alternatives to AA, including Smart Recovery and Women for Sobriety (WFS). Go to www.thepalstudy.org for further information.